When straying from the tarmac, it’s important to have a suitable vehicle that can handle the rugged terrain. Whilst there are trucks and SUVs that you can buy for this purpose, you may be able to save costs by pimping out your own family car for off-road use. Here are just a few modifications that you may want to look into when making your car off-road capable. Your average road tires aren’t likely to be tough enough to deal with the harsh off-road terrain. For this reason, you may want to buy yourself some all terrain tires. Famous brand like Cooper and Yokohama can be reliable, however they aren’t cheap. For an affordable set of off-road tires, you may want to try these Milestar Patagonia tires instead. A suspension lift could be needed to give your car more clearance from the ground. This could help you to more easily drive over bumps and debris. A professional garage may be able to get a suspension lift done for as little as $400, however you may find that you get more quality by paying more. There are also suspension lift kits for those that are willing to DIY this modification. Tow bars and winches can help if you end up in a ditch and need to get pulled out. They can also help you to pull other drivers out of sticky situations (in some rural towns this can be surprisingly common). You can find good quality brands of winches online such as these Warn winches for 4x4s. This could be a modification that you fit yourself or you could get a mechanic to do it for you. 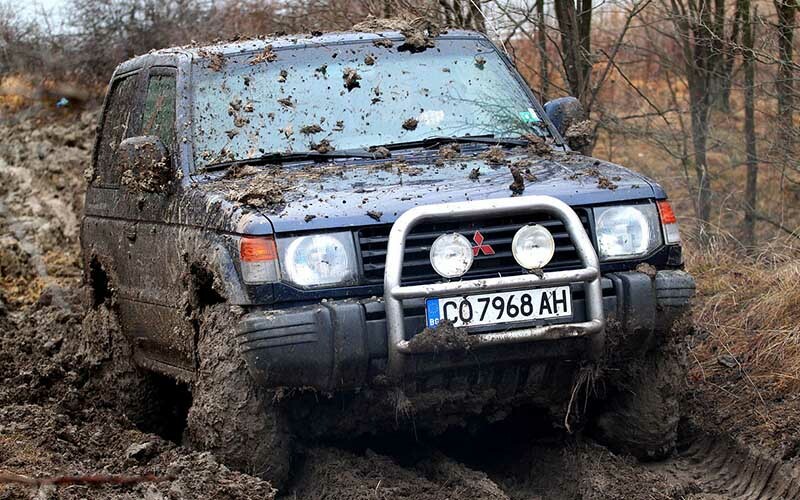 Bull bars can help to protect the front of the vehicle from getting damaged by rocks and branches. As a result, they could be a worthy modification for those looking to venture off-road. Try to opt for a bull bar that isn’t just aesthetic – models such as these Front Runner bull bars can provide the real protection that you need. Without street lighting, driving off-road when it starts to get dark can be dangerous. Your headlights may be able to provide some help, but it could be worth also buying some flood lights for the top of your vehicle. You can buy packs of LED flood lights surprisingly cheap online. Try to look for lights that are also dustproof and shockproof.